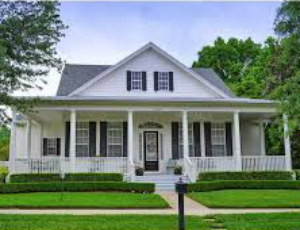 The housing market has changed considerably during the past few years in the Community of Celebration. With single family residences in their last phase of construction, many buyers are considering a growing condominium inventory. Initial condominium sections throughout Celebration sold out fast with many of these condominiums now available through the resale market. Many interested residents first rented in one of four apartment complexes in Celebration. 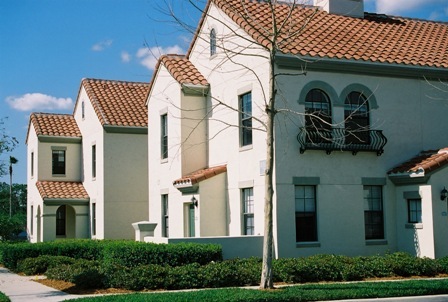 The past few years have seen all four complexes transition into condominiums. Apartment renting in Celebration has changed to condo ownership or condo rentals. New townhomes are being build as part of the Spring Lake at Celebration expansion by David Weekley Homes. These new townhomes are located on Celebration Boulevard and feature energy efficient construction. This is in addition to the current list of available condos and townhomes in Celebration. Condominium and townhome options include the condominiums of Carlyle Residences Celebration in downtown Celebration and the Artisan Club Condominiums, located in Artisan Park. Carlyle condominiums are located in downtown Celebration, many with balcony views of downtown and the downtown parks. Artisan Club condos offer unique amenities including a community club house and pool. Other condos are available for immediate occupancy and can be viewed by using our Multiple Listing Service. The condominium complex closest to downtown is Waterstreet of Celebration. 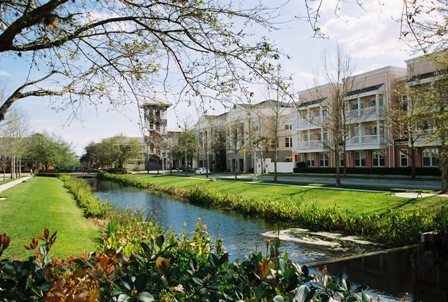 These condominiums line Water Street, running from the downtown lake to the Celebration Golf Club. Residents can easily enjoy the restaurants, shops and amenities available in Downtown Celebration from a short walk from their condos. Many condominiums are located above the downtown Celebration Shops and offer fantastic views of the local special events. Recreation and pools are available through the community park at Lakeside Park. Siena Celebration Condominiums are located in South Village. Siena offers a mix of architectural styles in an intimate setting. A clubhouse and pool offer convenient recreation to condo owners. The location is across from the Celebration Golf Course and is convenient to visiting the Walt Disney World Theme Parks using World Drive and offers easy access to I-4 West. 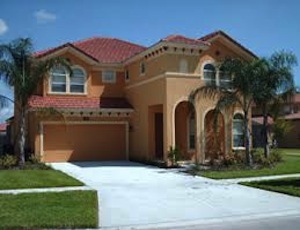 Located in North Village is Georgetown at Celebration. 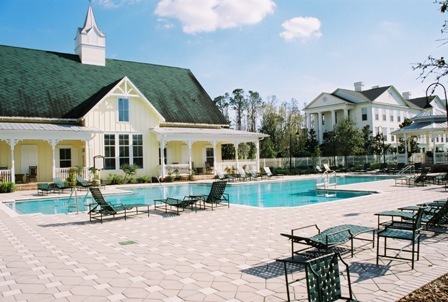 This expansive complex offers numerous recreation choices in its pool and clubhouse complex. Georgetown is located midway between the entrance from State Road 192 and downtown Celebration. The new Celebration Water Tower shopping area is convenient to Georgetown at Celebration. Mirasol at Celebration combines the luxury of award winning architecture with resort style amenities in the town of Celebration, Florida. One, two and three bedroom units are now available in the first release. 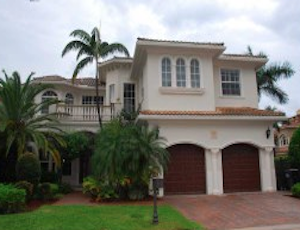 The Mirasol Condos have a full time concierge and a full services spa. Additional choices are available in South and East Village, with new condominiums available in Artisan Club Condominiums. Artisan Park is the last area of Celebration being developed with a large number of new Celebration Condominiums. Built by Arvida Homes, the Artisan Park Condos offer a large number of amenities as part of Artisan Park. 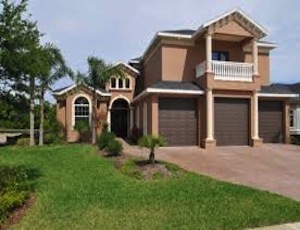 Townhomes are also available throughout Celebration Florida. Compare prices and monthly fees to determine which type of home and which community best fits the needs of you and your family. When you consider purchasing a home, townhome or condominium in the Celebration Community, you need an experienced Celebration resident to represent your interests. The sellers are represented, so why shouldn't you? Kim can be your professional to help you through the buying process. Contact us for more information on how we can help find the best condominium or townhome to fit your lifstyle.